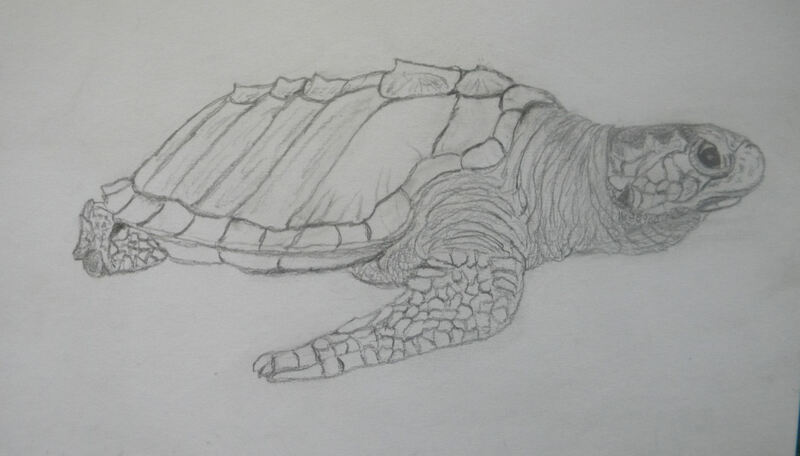 Here is my newest sea turtle, the Olive Ridley. It looks similar to the Loggerhead, but the colors are strikingly different. It will be a pretty green color. So this is my rough drawing for my next painting! I don’t know when I’ll start on it yet, but hopefully soon. Posted on August 23, 2014, in Sea turtles, Watercolor Paintings and tagged Australian Flatback Sea Turtle, Green Sea Turtle,, hatchlings, Hawksbill sea turtle, Larry the Leatherback Sea Turtle, Leatherback sea turtle, Loggerhead Sea Turtle, sea lions. Bookmark the permalink. 2 Comments. Aw…Olive is cute. Great job, Patsy! I’ll look forward to the finished piece. I’m happy to see your internet is up and running…yay! Have a great Sunday, Jill!